I’ve written for many years within the field of education, but it’s only in the last few years that I’ve started to explore fiction genres. Although I know that I’m only on the first rung of a career as an author, the initial step has been very productive as the following summary of my work indicates. The General’s Apprentice (shortlisted in the SCDA Playwriting competition) charts the experience of a disregarded youth who seeks status and power by helping the Witchfinder General, Matthew Hopkins. In When In Rome (shortlisted in the SCDA Playwriting competition), a ‘new money’ family pays a heavy price for their disrespectful attitude towards the staff of the hotel where they are staying. Perpetual Motion and Delayed Train are due to be published in the 2017 edition of the Worcester Lit Fest flash fiction anthology. They will also be included in my own collection of flash fiction, which is on course for completion in 2018. Driven to Murder (2013), self-published. 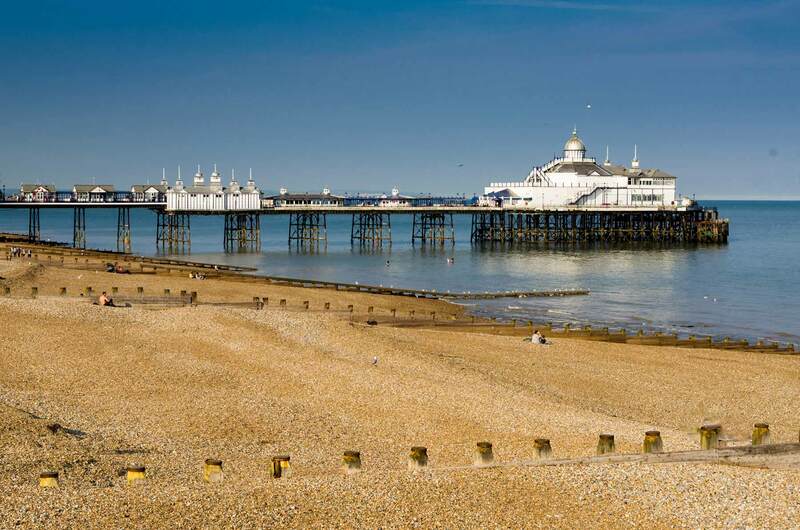 Eastbourne’s tranquility is shattered by three murders, all committed with the same gun, although there is no obvious link between the victims. The recovery of the murder weapon provides little respite for DI Steve Reason as a second wave of killings fuels public disquiet that Reason is not up to the task of solving the case. Tom Redfern, a local reporter, helps Reason make a breakthrough, only for the killer to be one step ahead and prepared to carry the fight to the heart of Reason’s patch. ISBN 978-1-909655-03-4 Hard copies available from me (paul@bourneequal.co.uk) price £6.99 + p&p (free local delivery in Eastbourne). Also available on Kindle. Prairie Vixen is a collaboration with illustrator, Heather Stuart (www.heatherstuart.co.uk). The sole survivor of her family’s retreat from famine on the Plains, Prairie Vixen is close to giving up hope when a series of encounters with wild animals saves her life. Mustang carries her wherever she wishes to go, Vulture scouts the way ahead, Bear protects her and Wolf frightens off potential enemies. However, at the very moment Prairie Vixen most needs her band of friends, they seem to desert her and leave her to the mercy of an unfamiliar group of forest dwellers. Despite her initial fear, Prairie Vixen realises that the forest people are friendly. They lead her back to their village clearing, at the centre of which is a fine totem, in which are carved the figures of a Mustang, a Vulture, a Bear, a Wolf and a Vixen. Heather and I are currently offering our work to agents and publishers. Writing feels like having the keys to the sweetshop. If my experience is anything to go by, once you start writing you have an almost endless flow of ideas and possibilities. Of the numerous projects I have on the drawing board (should that be writing board? ), the following are in the most advanced states. Out of Danger is the second in the DI Reason series and awaiting final edit. Concerned about her daughter’s safety, Molly Osborne arranges for Lucy to move from Manchester to live with her aunt in Sussex. Shortly after Lucy is met by her cousin, Harry, at a rural station, their car is forced to a halt, Harry attacked and Lucy abducted. Reason’s investigation is hampered by the unexplained suicide of Simon Harrison, one of the uniformed police officers who first visited the scene of Lucy’s abduction, and Reason’s regular assistant, DC Peter Dawson is suspended over his mishandling of an interview with the dead policeman’s widow. In Dawson’s absence, Reason secures the support of PC John Scott, Simon Harrison’s colleague on patrol. The DI starts to rue his decision to request Scott’s transfer from uniform when the rookie detective begins to operate as a maverick, something of which Reason himself has been accused over the years. It transpires that Molly is Lucy’s adoptive mother and that her biological father, Ken Roper, has recently re-appeared, demanding to see Lucy. Suspicion briefly falls on Roper, before a breakthrough comes in the form of DNA evidence linking a small-time criminal, Barry Ager, to the place where the girl is thought to have been held. Initially unforthcoming, Ager cracks when he realises the enormity of the charges he might face and implicates Eamonn Ryan (aka Eddie Malone) as the ring-leader in a string of offenses. As the net tightens around Ryan, it becomes clear that he is only the lieutenant of the operation and that his boss has very close links to one of the investigating officers. Although Lucy Osborne is recovered alive, any rejoicing in her family is cut short by a vicious assault that leaves her uncle dead. Untitled Formerly the seat of a country estate, Ashby Oaks has, for the last thirty years, been the headquarters of Cortex, an association formed by members from a range of intellectual professionals. The main building is destroyed by a fire, revealing the remains of a young woman, which forensics examination dates as over one hundred years old. When the skeleton is reconstructed, parts of a second body are discovered and dated to the period of Cortex’s occupancy. The more recent cold case is handed to a young Asian DI, Tanveer Gill, and her assistant, DS Patrick Hegerty, who is nearing retirement, and DC Simon South, who has joined the police on a graduate fast track scheme. When Gill closes in on a solution to the case, she faces her biggest challenge, the determination of some influential and well-connected people to thwart her enquiry, an obstruction with which the Chief Constable appears to be colluding. I am planning to have this novel ready for publication in late 2017. Hunters & Gatherers is set in Australia in the not-too-distant future. With the produce of farm animals no longer safe, owing to the overuse of carcinogenic drugs to boost production, meat-lovers are desperate to find a suitable substitute. At first they turn to wild kangaroo, a source whose safety is compromised by escapes from reared stock. As a final resort, they round up vegetarians and establish a captive breeding programme in order to maintain stocks of untainted human flesh. Terry Wilkins and Bradley Rogers, both turning thirteen, come from opposite sides of the division of human society. Terry is a ‘carnie’, a member of the hunting community. Bradley is a ‘veggie’, one of the captive group from which the hunters derive their meat. On his first shooting trip, Terry’s dad is angry and embarrassed when Terry only wounds their prey (Bradley’s father). To prove that he is worthy, Terry sneaks back to the killing field and shoots Bradley’s mother who has gone there under cover of darkness to find her husband. Far from endearing himself to his dad, Terry attracts more criticism for killing breeding stock. The two boys encounter each other when Bradley goes in search of his mother and Terry returns to cover his tracks. When Bradley announces that he plans to escape, Terry initially tries to dissuade him, then offers to assist by providing extra food and a weapon and, finally, decides to accompany him. Certain that the ‘carnies’ will try to prevent their escape to the outside world, the boys embark on a desperate attempt to reach the perimeter of the vast reserve. They meet an old aborigine, who agrees to assist them. With his ancient wisdom pitted against the hunters’ modern technology, the boys’ survival is in the balance. With their respective communities having been cut off from wider society for as long as anyone can remember, even if the boys succeed, they have no way of anticipating what may lie the other side of the boundary fence.